Don’t Mess around with Jim! These lyrics from Jim Croce’s classic pop song You Don’t Mess Around with Jim have evolved into pop culture expressions used by people the world over. Before his life was tragically cut short in a plane crash in September 1974, Croce wrote many other memorable compositions, including Bad, Bad Leroy Brown, Operator (That’s Not The Way It Feels), I’ll Have To Say I Love You In A Song and my two personal favorites, I’ve got a Name and Time In A Bottle. Just a few days prior to the holidays, EMI Music Publishing announced that it entered into an exclusive publishing agreement with Croce’s heirs, wife Ingrid and son A.J., for the songwriting catalog of Jim Croce. This importa nt deal gives EMI the North American administration rights to the compositions of the late singer-songwriter. A South Philadelphia native, Croce began his recording career in 1966 when he recorded his debut solo album, Facets in a Camden, New Jersey studio. He also recorded a 1969 duet album with his wife Ingrid, self-titled Jim & Ingrid Croce which was released on Capitol Records. His career did not really began to sky rocket, however, until he signed with ABC Records, and released You Don’t Mess Around with Jim and Life and Times, both of which featured many of the songs for which Croce is best known. His third solo album on ABC Records was I’ve Got a Name, which was released shortly after his death. ABC later distributed a greatest hits album entitled Photographs & Memories. Jim Croce was inducted into the Songwriter’s Hall of Fame in 1990. Brittany Wells nominated for "Artist of the Year"
The Myspace “Featured Artist of the Day” page has made its nominations for Female Vocalist of the Year, and Brittany is among them. Click on the photo advertisement to the left to cast your vote! As of the end of November, the fund had raised over $4,000. The fund will be administered by Mr. Beckerman and will be disbursed to technical witnesses hired by RIAA litigation defense teams on a variety of criteria, including the basis of the importance of the case to critical legal issues. The Magic Bubble Bursts: Did the Record Labels make their own grave? For almost a decade now, the major labels (at the beginning there were five of them, now only four, EMI, Sony BMG, Vivendi Universal and Warner) have declared that illegal downloading is ravaging their business by destroying the sales of physical product. 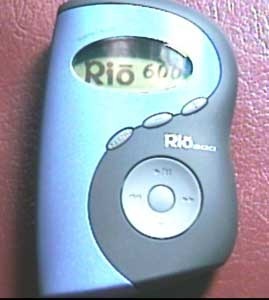 One may question this declaration, however, in few of the fact that ever since the RIAA filed its 1998 litigation again the manufacturer of the Diamond Rio MP3 player and extending to its most recent lawsuits against individuals across the country, the music industry has committed more public image faux pas than Dan Quayle and George W combined, making it one of the most hated industries among high school and college students. It should be apparent to everyone now that it is not illegal downloads that is causing the downturn in music sales, as there are many other contributing factors. About 2,700 record stores have closed across the country since 2003, according to the research group Almighty Institute of Music Retail. Last year the eighty-nine-store Tower Records chain, which represented 2.5 percent of overall retail sales, went out of business, and Musicland, which operated more than 800 stores under the Sam Goody brand, among others, filed for bankruptcy. Around sixty-five percent of all music sales now take place in big-box stores such as Wal-Mart and Best Buy, which carry fewer titles than specialty stores and put less effort behind promoting new artists. Nonetheless, a new research study on the issue, commissioned by the Canadian government to explore issues related to copyright reform, was recently released. The study is entitled The Impact of Music Downloads and P2P File-Sharing on the Purchase of Music: A Study for Industry Canada, and was written by Birgitte Andersen and Marion Frenz, of the Department of Management at the University of London in England. A PDF version of the study is published here. The results of the new study affirm many of the conclusions found in an earlier study entitled, The Effect of File Sharing on Record Sales: An Empirical Analysis. This paper was published in the February 2007 issue of The Journal of Political Studies, and was written by Koleman Strumpf, professor of business economics at the University of Kansas Business School and Felix Oberholzer of the Harvard University Business School. Both studies directly contradict the claims of the music industry that file sharing is related to revenue losses. In fact, the new study supports an opposite assertion, i.e., that distribution of music files on P2P networks actually promotes the sale of physical product. Andersen and Frenz found, among people who actually participate in P2P file sharing, downloading actually increases the sale of physical product by a ration of 2 to 1, in other words, on average when a P2P file sharer downloaded the equivalent of two CDs in files, he or she would purchase of one physical CD (Note: I have extrapolated here, as the numbers set forth in the study actually say that for every 12 P2P songs downloaded, physical purchases increased by 0.44 CDs). It is important to note that the study concluded that, when incorporating the Canadian population as a whole (i.e., including the group who participate in P2P file sharing along with those who do not), file sharing on P2P networks has neither a positive nor a negative impact on CD sales. One fact in the report I found very intriguing is its conclusion that the owners of MP3 players are less likely to purchase physical product. This is interesting, in my mind, because I believe it is connected to the popularity of the iPod and iTunes. If a person purchases the iPod and uses iTunes, there is really no need to buy physical product, whereas when a person uses a different brand of MP3 player, he or she is, in my humble opinion, more likely to go out in search of alternative means of finding music, including purchasing CD’s. I would like to see a study which compares iPod owners with owners of third party MP3 players. It may turn out that the biggest culprit in the demise of the record industry is Apple! One story I found really revealing is the Rolling Stones article on The Record Industry’s Decline. In it, the author tells the story about how the major labels were unable to come to a settlement with Napster which would have given them immediate access to Napster’s 38 million users. I don’t know the details of that meeting, but it seems to me that when the industry burst that bubble, those 38 million users disbursed into millions of subgroups on P2P networks so varied that it become virtually impossible to get the magic back. Hindsight is, of course, always better than foresight, but this event certainly seems to me to one of the biggest turning points in our industry’s history. Is the music industry going to survive. Of course! It will certainly not be in the form many traditionalists in the industry wish it to be. CD’s eventually be ancient relics of the past, sought after by collectors much as jazz lovers currently seek out old vinyls and record players. The radio industry will not have control over marketing and thus the role of radio consultants on the industry will be diminished. Marketing efforst will shift to television outlets and Internet marketing. Search engines and online communities will continue to surface new music and expose the long tail. Major labels will no be the sole repository of the major talent, as independents will rise to fill the void, fueled by venture capital from investors. Whatever happens, it going to be an interesting ride!